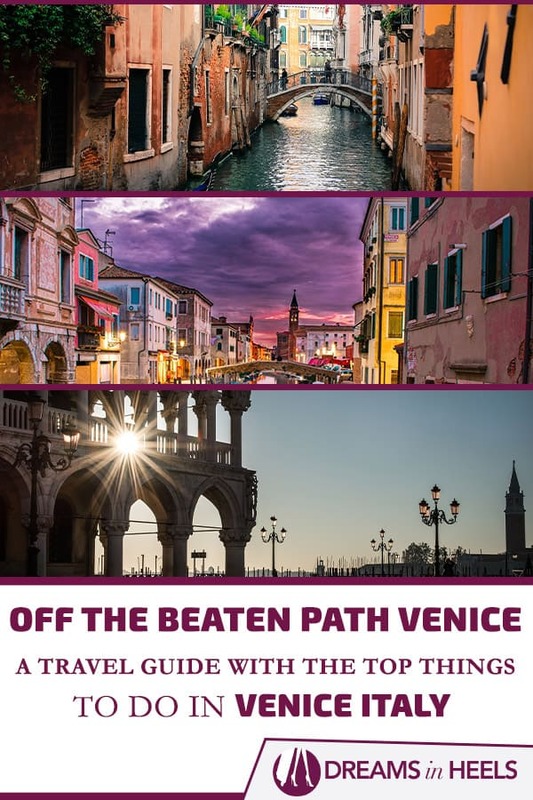 What to do in Venice – A Travel guide with the top things to do in Venice Italy including highlights + off the beaten path tips! Italy is undoubtedly my favorite country in the world. I totally recommend you to add a Venice trip to your bucket list. 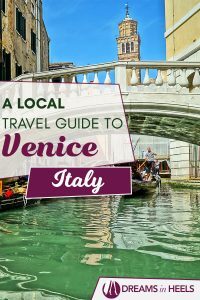 In this local travel guide, you can find the top things to do in Venice Italy including Venice highlights + off the beaten path Venice tips! I couldn’t post enough pictures, share enough content, or sings its praises long enough to make you realize, that not visiting Italy at least once in your lifetime, is a complete and utter travesty. I have lived in Italy for a year, particularly in Florence and have traveled separately to the country a further 5 times- which says a lot as I usually see something once and like to move on! I have seen its every season; from bitter cold and breathtaking during December, to hot and picture perfect during July and everything else in between. I have stood in awe in front of the Sistine Chapel in Rome, I have climbed the 414 steps of the Duomo Cathedral in Florence, I have posed with the Leaning Tower of Pisa and I have fallen in love in a gondola in Venice. Nothing can stop you from falling head over heels with Italy. The History, the Architecture, the Food, the Language, the Lifestyle and the People. Visiting Italy isn’t a simple holiday. It is a dream holiday, an utter necessity and the travel experience of a lifetime. 1.1 When Should I Visit Venice Italy? 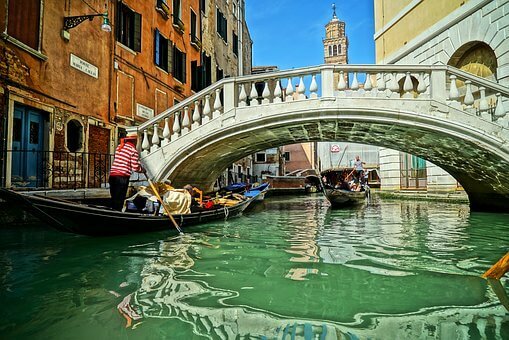 2 Why you Should Visit Venice? 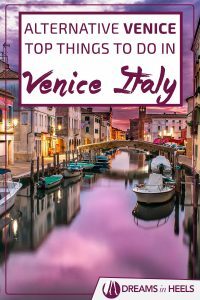 3 The Best Places to visit in Venice – Top Things to Do in Venice Italy! 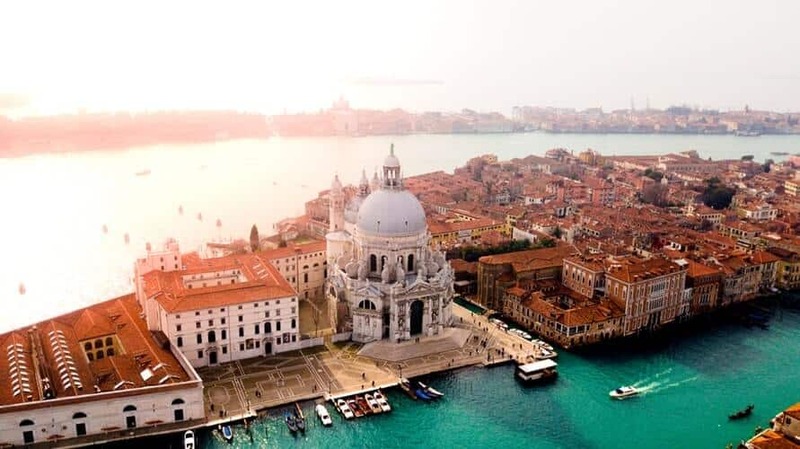 3.5 Marvel at the best views of Venice – From the San Marco Campanile. 4 Beautiful Restaurants in Venice – Where to eat and drink in Venice! Visa for Italy – None required for citizens belonging to the EU. For US Citizens: Free Visa for 90 days. For all other nationalities please contact the Italian Embassy in your country. Main Form of Transportation in Venice: Vaporetto (Water taxi). 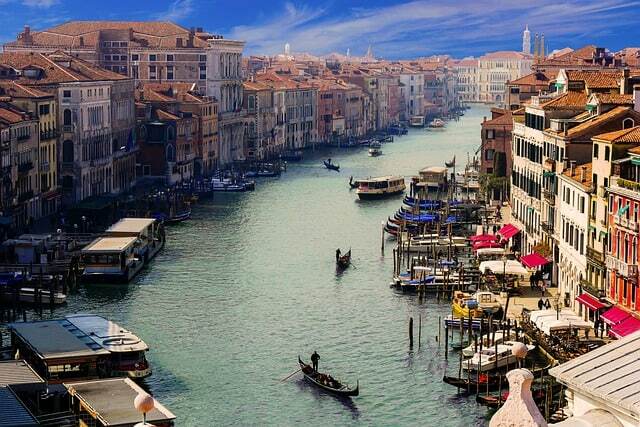 There are NO cars or roads in Venice- only canals and water taxis! Flight Time to Venice: 8 hours from New York City, 6 hours from Cyprus, 2 hours from London, 1 hour from Rome. When Should I Visit Venice Italy? Winter is when the Venetian locals reclaim the city, and accommodations are more affordable. It’s cold but beautiful! The two weeks of Carnival (around February time) should be avoided if you wish to keep the cost of flights and accommodation low. Summer is the busiest time and literally packed with tourists. Spring and autumn tend to have the best of both worlds- less cold, less mosquitoes, less tourists and lower all round prices. Venice is essentially built on over 100 small islands set over a large lagoon in the Adriatic Sea. What’s absolutely fascinating is its lack of roads- and abundance of canals accompanied by Grande palaces that transport you back to a different era. Yes, it’s sinking, it’s expensive and the water often smells. But seriously, where else would you find a city that despite all of this, STILL remains one of the most sought after cities in the world? You might also like: Your travel guide with the Top Things to do in Luxembourg City in one day! Why you Should Visit Venice? Imagine the audacity of building an entire city of Grande Marble Palaces on an actual lake. Imagine a city with no roads, just gondolas, water taxis and houses partly submerged in water. Imagine gorgeous Italians unlocking the front doors to their Grande Palaces to go to work, only to have to take 2 mere steps into their gondola before they go about their day. 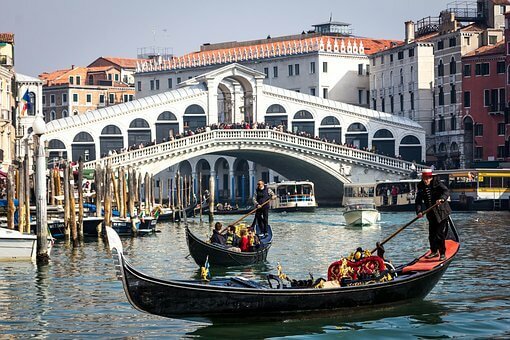 Imagine exclusive Venetian cuisine…Sampling signature Venetian dishes, some of the best seafood in Italy and sipping Venice’s signature drink- The almighty Prosecco- whilst overlooking gondolas lazily drift in the Grand Canal. I suggest you to explore the Venetian Architecture of the Palazzo Ducale and the Basilica di San Marco. Oh and experience the true meaning of ”La Bella Vita” and the wakeup call of gondoliers calling ‘Ooooeeeee!” bright and early in the morning. Do not forget to witness the fuchsia pink sunsets, and fall in love with life, nature and art. In addition, wander the backstreets to discover priceless marbles and paintings and grandeur of a different era. Yes, Venice is indeed the city of love. Different, romantic and utterly irresistible, it will take your breath away and remain in your heart forever! 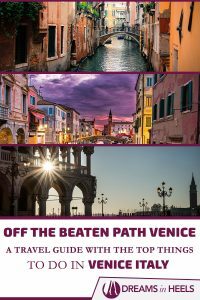 The Best Places to visit in Venice – Top Things to Do in Venice Italy! 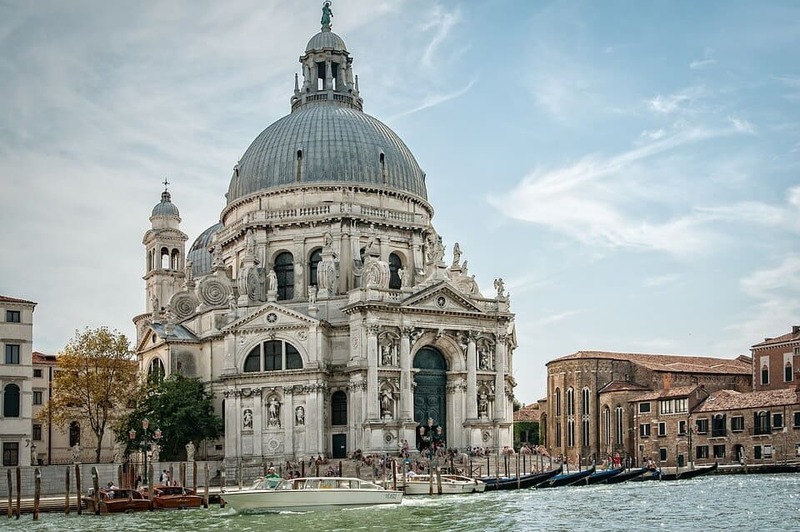 Easily one of the most famous monuments in Venice, St Marcos Basilika (St Marks Church) is a breathtaking piece of Byzantine architecture and one of the most recognized religious buildings in all of modern Italy. Its every aspect is flawless- from the sculptures, to the artwork and the ornate details on the inside of the ceiling. Located in the centre of the Piazza San Marco, it’s very easily accessible from the Grand Canal. A definite must! The most famous and important Piazza (square) in Venice, San Marco piazza is to Venice, what Oxford Street is to London, and Times Square to NYC. Arched walkways and other monumental buildings are present there; such as the Basilica mentioned above, the San Marco Campanile and Doges Palace. 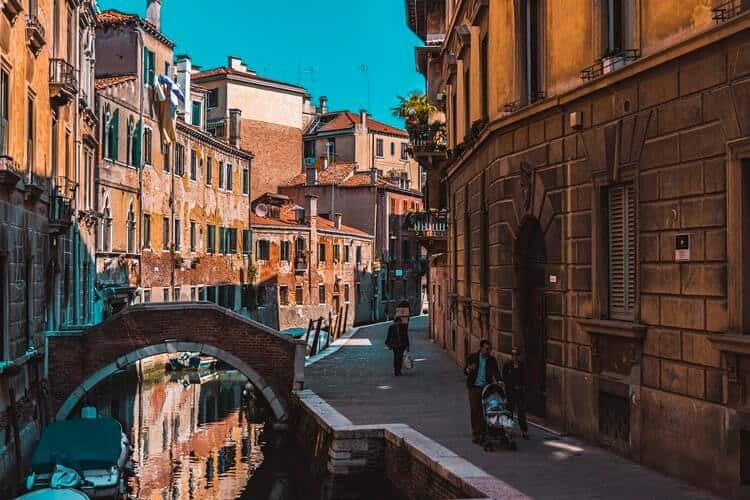 Start your Venice tour here and spent your day wandering though historical buildings and sights, breathtaking streets and architecture. 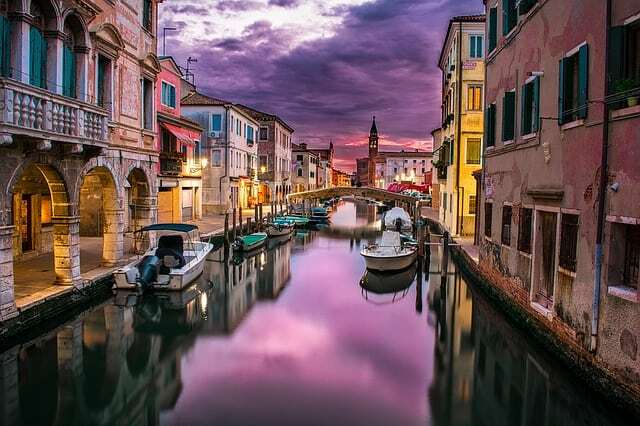 All 100 little islands that make Venice are connected by hundreds of canals – but the largest and most famous is the Grand Canal. Passing from one side of Venice to the other, it looks more like a river, and if you go to Venice, chances are you will pass through the Grand Canal on numerous occasions. Apart from taking a romantic gondola ride through the canal, you can admire the many palaces that lie on its banks-and are partly submerged in water – there are considered to be over 150 of them, dating back to the 13th century and are beautifully maintained and lived in to this day. If you are not travelling along the canal, you could take a leisurely walk over the four bridges that connect it. Marvel at the best views of Venice – From the San Marco Campanile. 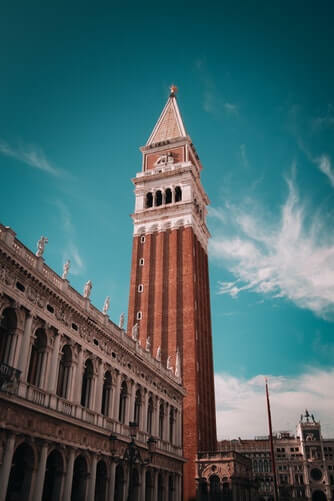 This is the tallest building in Venice, and one ride from the elevator up to the top will provide THE most breathtaking views in the entire city. Make sure you pack a camera – you will definitely want to take plenty of photographs! Standing tall at almost 99m high, you won’t know it when you see it, but the entire tower is reconstructed after the original one collapsed in 1902. As far as churches go, this one is right up there after St Marks Basilica and is set exactly on the opposite side of the Grand Canal and St Marks. This Catholic Church basilica is spacious, impressive and symmetrical and might not deliver the ‘’wow’’ factor of St. Marks but it surely provides ample architecture and beautifully decorated interior to admire. 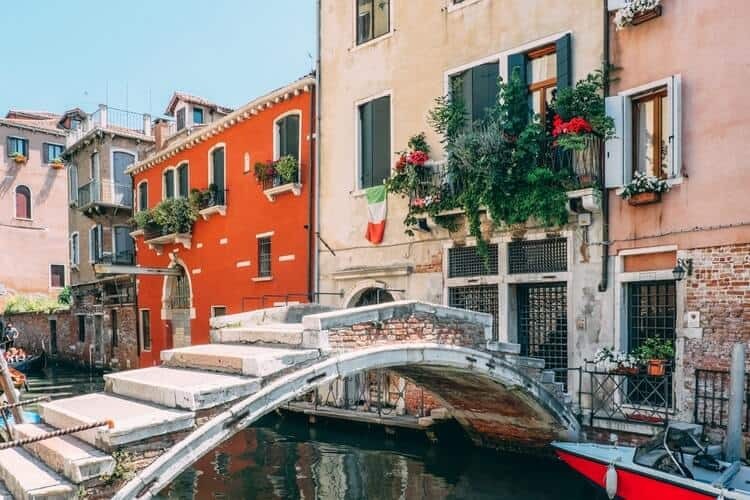 One of the four bridges that connect the length of the Grand Canal – and the most iconic one- the Ponte Di Rialto perfectly frames the Grand Canal and connects to the San Marco and San Polo Districts. This bridge used to be made out of wood and remained this way until it collapsed in 1524. It has since been rebuilt and stands tall, symmetrical and beautiful. 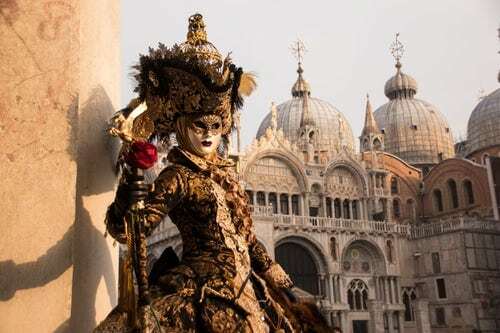 You can find many souvenirs and jewelry here – be sure to check out the Venetian Masks! Art lovers rejoice! This museum hosts a fine collection of pre- 19th century art from artists such as Bellini, Titian and Canaletto. Converted into a museum in the 1700’s, this gallery delivers the wow factor with iconic masterpieces such as the Vitruvian Man of Da Vinci and Virgin And The Child of Titian. You can arrange a tour of this historic palace to view both its exterior and interior for a true slice of Venice architecture. This ornate palace looks into the Grand Canal, is situated in St Marks Square and happens to be one of the most famous buildings in Venice. The palace is made out of white stone with patterns of diamonds running through it and a luxurious interior decoration from top to bottom. You should book your ticket in advance! Small in size but big in historic importance, this bridge connects the Prigiori Nuove to the Doges Palace and is a favorite amongst tourists. Its name is taken from the legend that criminals sent to prison would travel via this bridge and sigh, knowing that this would be their last glimpse of Venice. Beautiful Restaurants in Venice – Where to eat and drink in Venice! 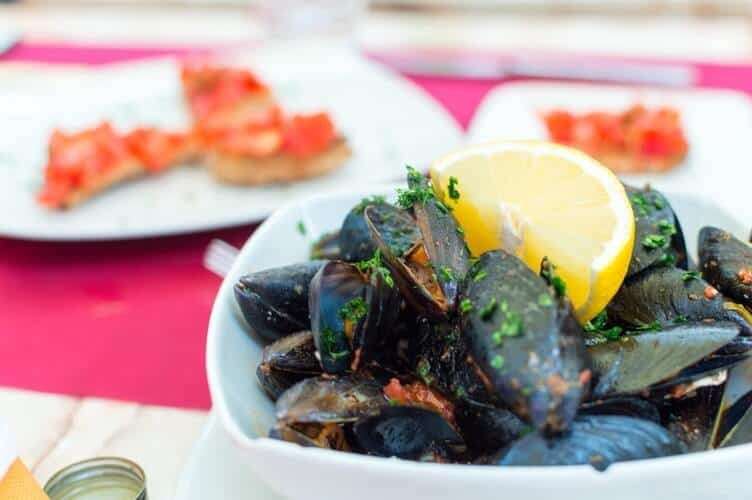 While the city is one of the most sought after tourist attractions in the world, it still has a lot to offer – both in terms of authentic Italian Cuisine and culinary experiences. All you need to do is read this guide and avoid the tourist traps (Venues packed with tourists and menus in 3 languages will never be a good idea and the food there is mediocre at best). Tip: Head out to dinner early! Many restaurants close as early as 8pm especially during the winter months with hours extending to 10:30 during the high season summer months. A local’s favorite, here you will sample delicious risotto and squid ink pasta as well as a rotating seasonal menu ensuring everything on your table is fresh, locally produced and in season. Perfect for lunch and can be combined after a visit to the nearby Santa Maria Basilica. This seafood a la carte restaurant is a real gem in Venice. What you will eat here is a surprise, as the menu changes daily and it entirely adaptable to the produce available at the market. Popular with the locals, the food here is delicious. The Italian version of tapas or the almighty greek ‘’meze’’ is the chichetti – and this place serves a rather wide selection of just that. Small plates and various bites of Italian deliciousness, a happy hour, and a large selection of wines to boot. Chichetti favorites include mantis prawns, schie – small, sweet grey prawns- and creamed cod – a local favorite. Authentic Venetian Cuisine with a creative twist, full-bodied house wines and a lively atmosphere, this is a lovely Dinner option for quality dining at reasonable prices. When in Italy, one of the best ways to ensure you eat quality and local food is to visit a trattoria. Trattorias are basically classic Italian residences, opening their homes and cooking for a small number of guests per day. Talk about home cooked food perfection! In Venice, Massimo, a true Venetian home-chef opens up his Venetian Palace home and cooks up a seafood feast that’s among the finest in the city. Expect fresh exquisite seafood, cooked the way Italians love to eat. An intimate and unique dining experience in the heart of Central Venice. This bar takes wine seriously! A beautiful menu (that changes very often) full of amazing options for every palette. With beautiful views of the canal and an impressive amount of wine bottles stacked all the way to the ceiling this is a beautiful bar for wine lovers! Suggested Reading: Exploring the Wine Capital of India, Nashik! You will love this little hole in the wall bar that is also a fantastic fish and cicchetti restaurant in the heart of Venice. Super busy and popular with both locals and tourists, this fun and fresh bar is spilling with customers. Cheap and cheerful cocktails, a young crowd and a live jazz and rock music night every Wednesday! Set on the 8th floor of the 5* Hilton Molino Stucky , this rooftop bar has one the best views in Venice. The cocktails are fresh and innovative, the view is impressive and there are frequent DJ sets to get the crowd going. Hilton also has its own water taxi on hand too! 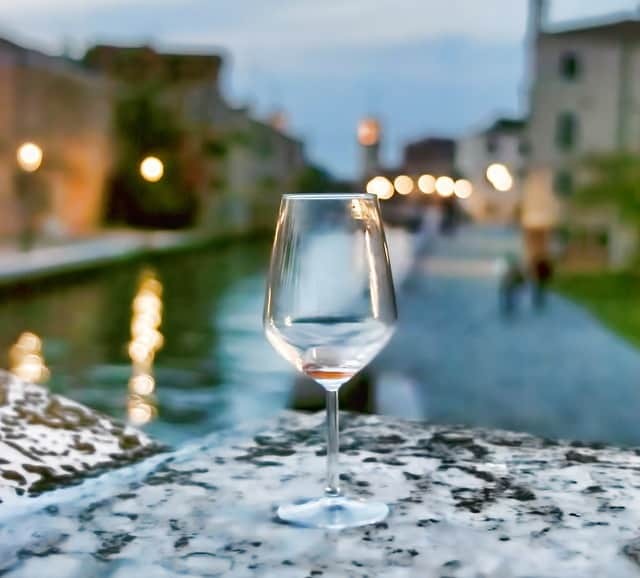 Venice is famous for its Prosecco and the locals here are not afraid to stop for a little class at any time of the day or night! This lively wood lined bar – as the name suggests- is all about Prosecco, along with a menu of organic wines and cheese and meat platters. With outdoor seating in an idyllic piazza, this is a gorgeous place for any time of the day or night. Hours: Open everyday from 9 am to 8 pm (winter) and from 9 am to 10:30 pm (summer). Another Favorite: Beer Enthusiasts – Go Beer Tasting, sampling the world’s best! Beer fans will love with this bar- and its impressive 20 beers on tap! Plenty of beer options here – from regional to international favorites as well as some great whisky and spirit options too. Like any good pub, TV screens with live sports complete the scene. With over 20 million annual tourists per day and an average of 30.000 on a daily basis, it’s safe to say that Venice gets crowded. It is also safe to assume that any safe traveler will be looking at tips to avoid the massive crowds around the city. Truth be told, you cant avoid them all- the big tourists sights are popular for a reason and any inconvenience you suffer to see them will be worth it. But there are still ways to seek some solace and real Venetian atmosphere in this gorgeous city. 1. Wander other sestieris (neighborhoods). In their backstreets and alleys lies the real Venetian juice; exquisite architecture, locals enjoying a stroll, local markets, children playing and lovely little squares and churches. Seek out the Canareggio and Dordoduro Districts. 2. Marvel at the St. Marcos Basilica – but early on. Get there for 9:30 am and save precious time and energy! 4. Follow my listed restaurant guide for authentic Venetian culinary experiences and remember; avoid big menus in various languages with pictures! Those are always tourist attractions with mediocre food at best. 5. Get there early. This rule applies to all sights and restaurants too. 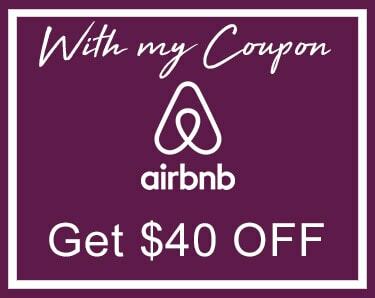 Also, make dinner reservations! 6. Escape the city – visit an island! Torcello is gorgeous but touristy; instead choose an island like the Certosa – relaxing, idyllic and packed with colors of green and blue- you will be glad for the escape! 7. Plan your dates carefully. 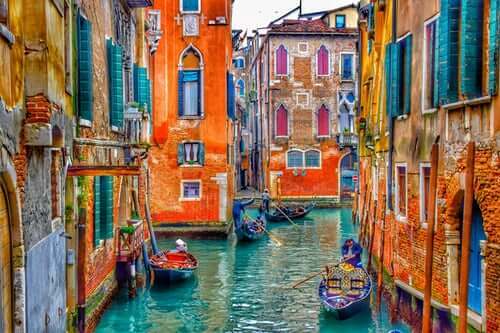 March and April are cheaper, quieter and spring suits Venice spectacularly! 9. Arrange private visits. Although I have not personally done this, a group as small as 6 can arrange private visits to various sights – sometimes even before and after working hours- meaning you skip the queues, and have unobstructed views of everything! Keen to combine Venice with another Italian City? Read this guide here to help you decide on which one! Tia’s Bio: Tia is a Greek Cypriot Travel blogger and a Dancer/Choreographer. Her biggest passion is traveling far and wide to exotic destinations and she believes in doing that as well as possible. She is always on the lookout for affordable luxury and places to spoil herself without breaking the bank. Tia has danced in the pouring rain in China, chased sharks in Belize, got lost in NYC, climbed mountains in Costa Rica, and bathed elephants in Thailand. 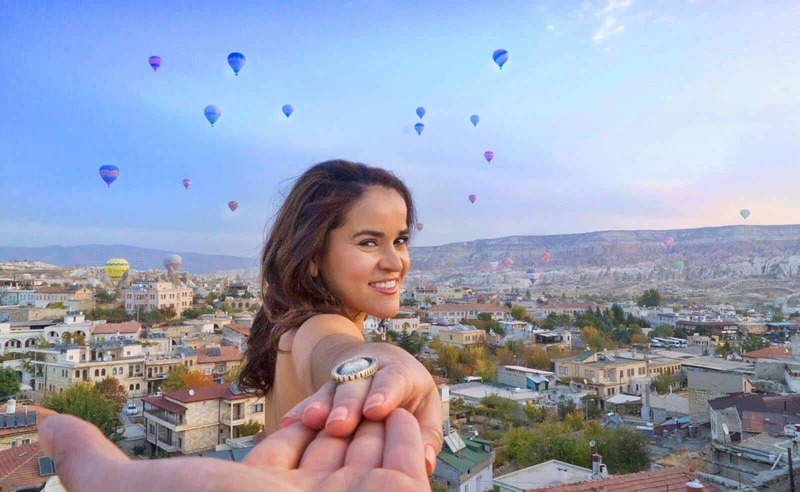 She has eaten her way through Italy and Dubai, found Nemo in Egypt; beach hopped the Greek Islands and stood in awe at the waterfalls in Bali. She believes that life is way too short to only learn one culture, food or language and her ultimate goal is to see as much of the world. as she possibly can for as long as her legs can carry her! Her website inspires wanderlust and provides detailed ultimate guides to various Destinations. Follow Tia’s adventures on Instagram and on Pinterest.